The "Ziegfeld Follies of 1912." 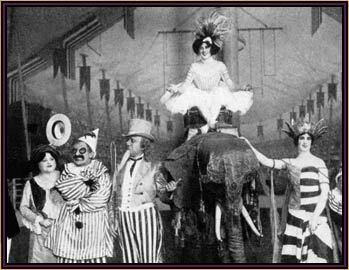 Her success in this show, combined with her obvious star quality and potential, is said to have been one of the major factors in the impresario’s decision to launch a series of lavish revues in 1907 that came to be known as the “Ziegfeld Follies.” These spectacular extravaganzas, full of beautiful women, talented performers, and the best popular songs of the time, continued annually for most of the ’20s. In addition, Ziegfeld brought his talents as America’s master showman to other (mostly) hit productions such as “The Soul Kiss” (1908), “Miss Innocence,” “Over the River,” “A Winsome Widow,” “The Century Girl,” “Miss 1917,” “Sally,” “Kid Boots,” “Annie Dear,” “Louie the 14th,” “Ziegfeld’s American Revue” (later retitled “No Foolin'”), and “Betsy” (1926). After breaking up with Anna Held, Ziegfeld married the glamorous actress, Billie Burke. He opened his own newly built Ziegfeld Theatre in 1927 with “Rio Rita,” which ran for nearly 500 performances. The hits continued to flow with “Show Boat” (1927), “Rosalie,” “The Three Musketeers,” and “Whoopee!” (1928). In 1929, with the depression beginning to bite, he was not so fortunate with “Show Girl,” which only managed 111 performances, and to compound the failure, he suffered massive losses in the Wall Street crash of the same year. “Bitter Sweet” (1929) was a bitter disappointment, and potential hits such as “Simple Simon,” with a score by Richard Rodgers and Lorenz Hart, “Smiles,” with Fred Astaire and his sister Adele, the last “Follies” of his lifetime (1931), and “Hot-Cha” (1932) with Bert Lahr simply failed to take off. 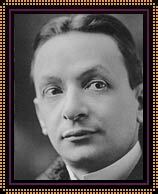 It is said that he would have been forced into bankruptcy if his revival of “Show Boat,” which opened at the Casino on May 12, 1932, had not been a substantial hit. Ironically, Ziegfeld, whose health had been failing for some time, died of pleurisy in July, two months into the run. His flamboyant career, coupled with a reputation as a notorious womanizer, has been the subject of at least three films: THE GREAT ZIEGFELD (1936) with William Powell, which won two Oscars; ZIEGFELD FOLLIES, William Powell again, with Fred Astaire; and a television movie, ZIEGFELD: THE MAN AND HIS WOMEN (1978). ZIEGFELD, THE GREAT GLORIFIER, E. Cantor and D Freedman. ZIEGFELD, C. Higham. THE WORLD OF FLO ZIEGFELD, R. Carter. THE ZIEGFELD TOUCH, Richard and Paulette Ziegfeld.